1 Looking to buy an HJC? 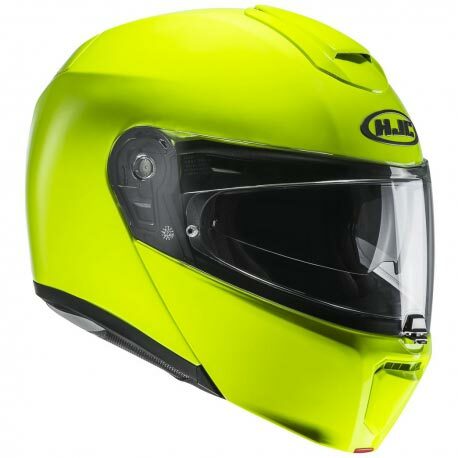 10 Best place to buy an HJC crash helmet? 16 Looking to buy an HJC? HJCs premium flip-up touring helmet with sun visor: HJC RPHA 90. HJC’s RPHA series of helmets are their higher performance range of lids (it’s actually short for Revolutionary Performance Helmet Advantage – I assume it makes a bit more sense in Korean!). 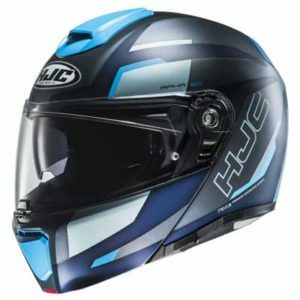 So HJC has launched the RPHA 90 as their hyper-compact, lightweight modular helmet to head up their flip-front helmet range. And like other RPHA helmets, that means it’s got a shell made from their advanced composite construction (called PIM+ or premium integrated matrix plus) along with a full complement of pretty well every feature you could want on a modern modular helmet. Looking to buy an HJC? 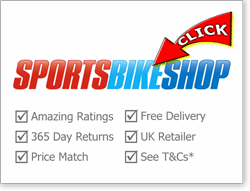 We recommend either Sportsbikeshop (UK) for amazing customer service, free delivery and competitive prices (including price match) or Motoin (Germany) for a great range and good € prices. 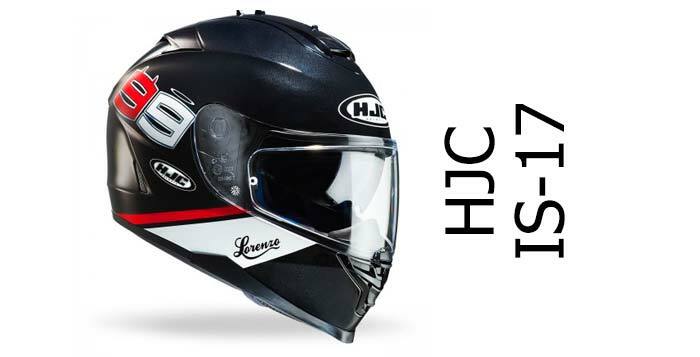 Please click for more info on our recommended retailers or click either link to jump to their HJC helmets pages to see their full range and latest deals. The RPHA 90 has HJCs advanced composite PIM+ shell. That means it’s constructed using HJCs most advanced construction tech and includes layers of fibreglass, carbon fibre and aramid (kevlar). 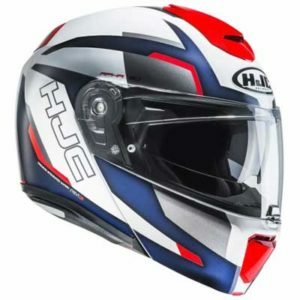 That’s designed to produce a strong and lightweight helmet and has allowed HJC, as you’d expect, to get the RPHA 90 ECE certified, meaning it’s been tested & approved by the European certification bods (it is DOT certified for the US too but DOT doesn’t include a mandatory testing regime). Well, yes. ECE testing is what every helmet in Europe has to go through and pass before it can be put on sale. And it’s pretty rigorous testing, meaning that every ECE certified helmet will give a decent minimum level of protection. Unfortunately, the HJC RPHA 90 hasn’t been independently safety tested by SHARP or Snell, so we can’t be 100% on how well it’ll score if it was SHARP safety tested too. If it does score 3 stars, that’s still not bad at all (though not as good as some of our top modular helmets) but don’t forget a decent test score is secondary to making sure you buy a helmet that fits well (read more here). So that’s the lowdown on RPHA helmet testing. But the RPHA 90’s also got a ton of other features that contribute to making a safe helmet. There’s a drop down sun visor in there – invaluable for keeping your vision clear when it’s mega bright. And it’s got a Pinlock Max Vision anti-fog insert in the box too – again, essential if you live somewhere humid/cold/rainy. There’s also a micrometric 2 fastener, that’s the same as the micrometric 1 ratchet strip, but this one’s a bit more sophisticated and made of metal, not plastic. Note the US version of the RPHA 90 comes with a double-d ring fastener. And finally, modulars can be a bit weighty – guess it’s all that extra mechanism needed to operate the chin bar that adds a few g onto the weight. 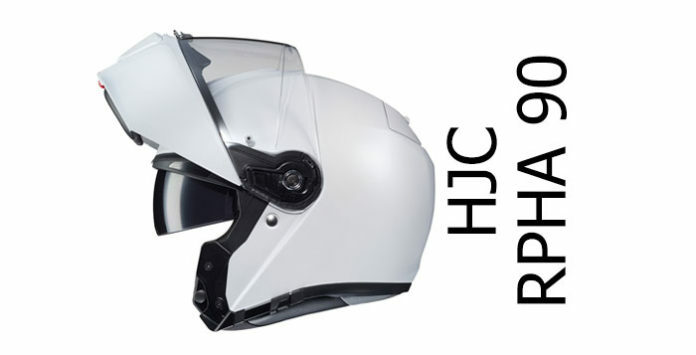 But the HJC RPHA 90 weighs just under 1.5Kg which is much lighter than the average flip-up helmet. That’s good for comfort of course, but it’s useful for safety too (less mass to accelerate the head during an impact). All of which means there’s a whole heap of safety-relevant features the RPHA 90 offers for your money. But note (European riders) it’s not a dual-homologated modular – read here to find out wtf dual homologated means and why you might want one if you’re looking to buy a flip-up helmet! The HJC RPHA 90 has been designed to be compact and quiet. The shell has been aerodynamically designed and wind tunnel tested to offer as little wind resistance as possible to reduce buffeting and noise. There’s also an extensive neck roll and chin curtain combo at the bottom of the helmet which should keep noise out of the helmet; and that internal lining is engineered to give a secure fit that reduces noise too. The early word is that it works pretty well, but we’ll wait until more people have had chance to test one out before we’ll know for sure. Ventilation on the RPHA 90 is a relatively ‘standard’ config. There’s a large central chin vent to drive air onto the back of the visor and around the mouth area – and you can close it off using that large panel slider slap bang middle of the chin guard. Same goes up top. There’s a large slider that opens/closes the single top vent and both sliders are very easy to find and glove friendly. Air from the top vent will go through the helmet shell and is circulated around the helmet via channels in the EPS lining inside, exiting out of the rear exhaust vent (that’s closable by a smaller slider). Aside from your helmet shell giving you protection in an accident, the visor’s arguably the second most important feature on any helmet. Thankfully the visor system on the HJC RPHA 90 seems to have every conceivable base covered. That means it’s quick release (so you can swap it out quickly and easily), it’s Pinlock ready and there’s a Pinlock antifog in the box (yay!). It’s also wide for good peripheral vision and it’s got a visor lock to stop it opening while you’re riding. Mind you, not many helmets without a visor lock do that anyhow in my experience. HJCs RapidFire 3 quick release visor system is one of the best out there so you should find it pretty quick and easy to use. And of course, the RPHA 90s got an integral drop down sun visor too. It’s worth mentioning that the visor aperture on the RPHA 90 isn’t designed for use on a sportsbike though because if you get in a tuck position, you’ll struggle to see ahead because it’s not a massively tall opening. The sun visor on the RPHA 90 works on a slider on the left hand side of the helmet. It works like most other sun visors – but if you’ve not tried one before we heartily recommend you try a helmet with a sun visor because they’re mega-useful when things get too bright and you’ve forgotten your shades or a replacement visor. And usefully, the sun visor on the 90 is both anti-scratch and anti-fog coated (not all are). It’ll also give you extra UV protection; polycarbonate visors (sun visor and main clear visor) inherently give you somewhere between 90%-99% UV protection because it’s one of polycarbonate’s innate properties. Hurray for plastic! The RPHA 90’s chin guard is opened using a single button on the bottom of the guard. As you can see in the images, the fully-raised position raises it to about 90 degrees – some helmets let you pull the chin guard right round to the back of the helmet and out of the way – and are dual-homologated too. Chin guard in fully raised position. If you’re intending to ride with the chin guard up, then we’d suggest you buy one of those dual homologated helmets (meaning it’s tested, approved and legal to be ridden with the chin guard up – Europe only). Also, if you buy a modular helmet, chances are you like the flexibility of having that chin bar up when you want, but having the protection of a full face helmet when you’re putting some serious miles in. Which means you want to be able to trust that the chin guard will stay locked and closed during an accident. 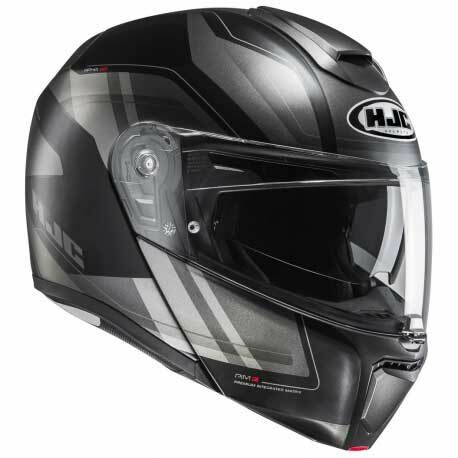 The most recently SHARP tested HJC modular – the IS Max 2 – scored an outstanding 100% for this when tested (meaning the chin bars on every test helmet stayed locked throughout testing). Whether that gives us an indication on how well the chin bar on the RPHA 90 will perform remains to be seen – but a 100% rating is surprisingly rare. Some recently tested modulars which scored 100% include the X-Lite X1004 the LS2 Strobe and the budget MDS MD200 – and all Nolan modulars tested to date have scored 100% too. As you’d expect on a premium priced modular, HJC has thrown quite a bit of care an attention at the internals on the RPHA 90. 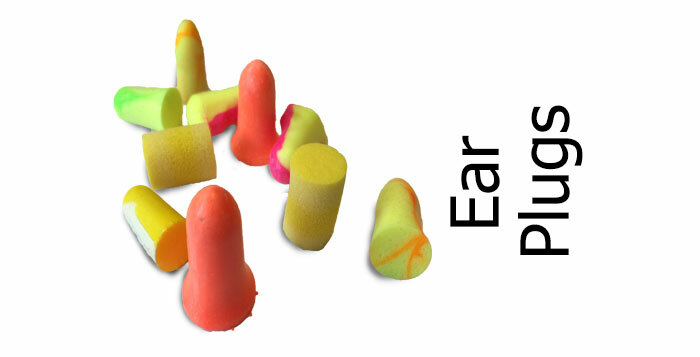 It has a removable and washable lining of course and the lining foam has been shaped to form a close fit with the face; called a 3D lining. It uses ‘Polygeine’ fabrics which use small amounts of silver chloride to make the fabric resistant to bacterial growth and therefore reduce odour – meaning you’ll need to wash the lining less often. And it also uses what HJC calls Multicool which is a moisture-wicking material which should keep your head drier while simultaneously removing heat and keeping your head a bit cooler. 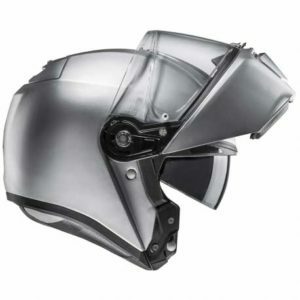 It’s also been designed to reduce noise ingress into the helmet. That includes the lining fitment as well as the closely-fitting chin curtain and neck roll. Also, if you wear glasses, there’s a glasses groove inside to take the stems of your glasses and stopping them pressing into the side of your head while riding. If you’re thinking of buying an RPHA 90, please follow our motorcycle helmet fitting guide to find out how to get the right size of helmet – wearing a correctly-fitting helmet is your number 1 priority to ensure your helmet will give you max protection during an impact. For the latest designs and deals, it’s worth clicking through to our recommended retailers using the links below. But at the time of writing, there’s a gloss and matt black RPHA 90 along with a pearl white and a dark grey titanium version. And if you’re after a hi viz helmet, there’s the bright fluo yellow and there’s a slightly toned down fluo yellow Rabrigo (see Rabrigo pic above). Finally there’s the Tanisk graphics in black or red. 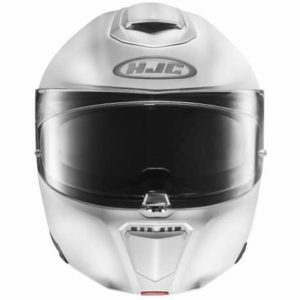 Best place to buy an HJC crash helmet? 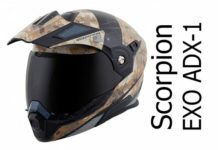 If you want piece of mind when you buy, we recommend you buy from Sportsbikeshop. They're based in the UK, have competitive prices and offer outstanding service (9.8/10 on Trustpilot, 4.5/5 on Facebook) including 365 day refunds and free UK delivery. 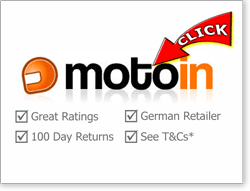 Or take a look at Motoin. They're a German retailer with great feedback (4.9 out of 5 on Idealo and 4.86 on eTrustedshops at the time of writing) though if you're outside Germany there's a delivery charge so factor that in (see here for details). Please click any picture below to visit their helmets pages. And if you buy from any, we get a small sum from the sale at no extra cost to you - a massive THANKS! (it's how we finance the site). Click here for more info on our recommended retailers. The RPHA 90 is designed to take the Cardo SmartH bluetooth set. 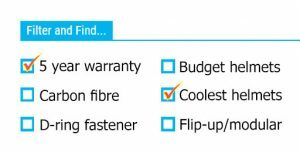 It comes with a class-leading 5 year manufacturer’s warranty. The RPHA 90 is HJCs premium (i.e. expensive) modular helmet. But for that you get a light weight modular (not the lightest ever but not far off) that’s compact, has a great visor system and high quality internals. There’s some great alternatives for quite a bit less money (see some below) but we’d expect the RPHA 90 to give an excellent level of performance and all-day comfort. 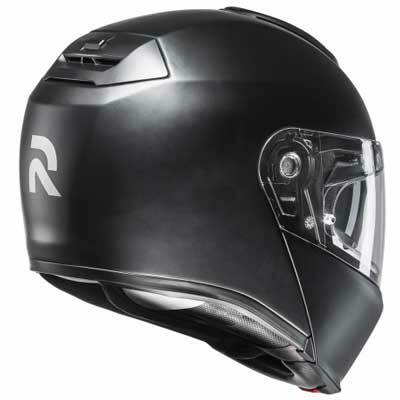 And if they’ve managed to pull off their goal of making a really quiet flip-up helmet, then the RPHA 90 will be well worth it’s premium price tag. First off, there’s the Shark Evo-One 2, that’s a SHARP 4 star safety rated modular that’s comes in composite and carbon fibre variants – but check the ‘summary’ on our review page for details. 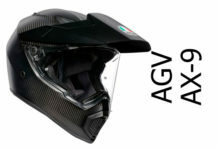 There’s also AGVs Sport Modular, that’s a mega light weight (1.3Kg) carbon fibre modular designed for sports bikes. It’s a a good few quid more expensive than the RPHA 90 though. 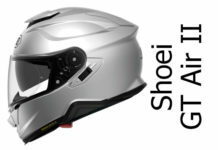 Or there’s Shoei’s well regarded Neotech II, that’s the follow up to their successful original Neotech that features sun visor and Pinlock too. Or how about something on the Adventure side? Schuberth’s E1 has an optically correct main visor, 5 year warranty and is a combo of adventure bike and modular. If you're after a new modular/flip-up helmet, they've never been more popular and there's a ton of choice out there. You can find our latest top 10 modular helmets list here or check out all our modular helmet reviews here. You can also visit our smart filters page where you can click the flip-up/modular check box then choose a few other features to find the best flip-up helmet for you.